Today I’ve had a nice afternoon and evening tackling a Cambrian kit. This is my first build to EM and depicts the LMS diagram 1829 12 ton steel van. Not a difficult build by any means but a degree of previous experience helps with the kit. Whilst I’m not in a position to check the dimensional accuracy the part assembled model looks sufficiently close to the image I’m working from; taken by Don Rowland in 1962. 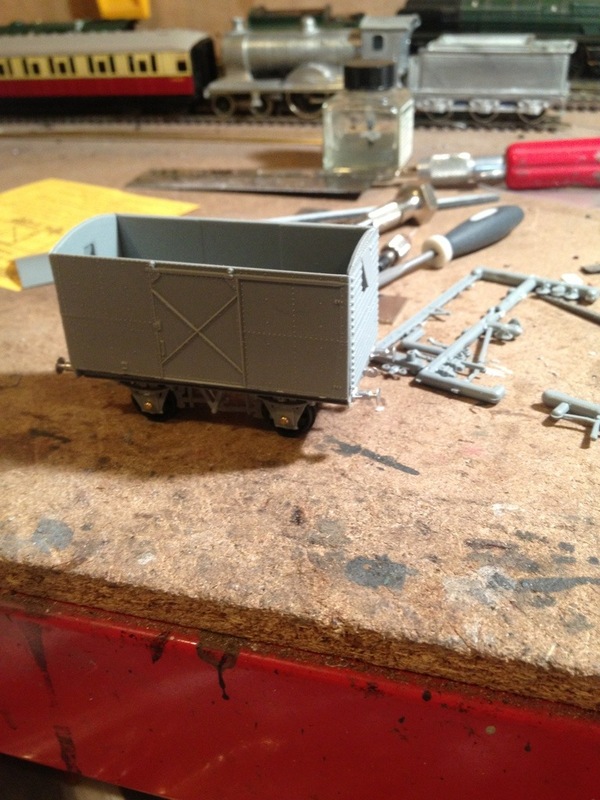 Don’s photo is of a Metro-Cammell built van though the kit depicts a Gloucester-built example. I can’t honestly see any glaring differences other than the Met-Cam possibly having less riveting on the upper body’s outer sections. They may be just hiding, free of surface rust though. The build has provided no dramas so far though it benefits from a wee bit of fettling here and there. 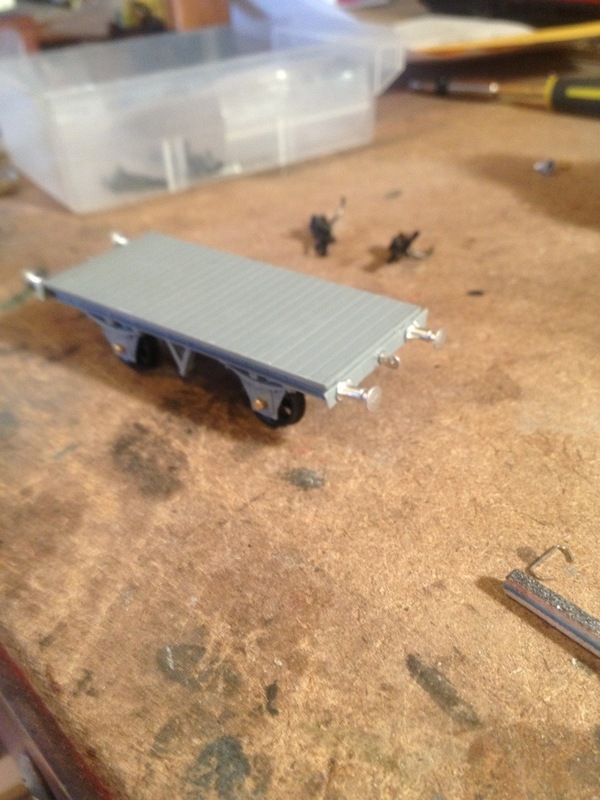 I’ve enhanced the build with Lanarkshire Models pewter buffers (B003 in this instance) and coupling hooks. Other than these the van currently bears no further enhancements beyond the Gibson wheels and bearings. I’ve always fancied doing one of these vans because they seem to weather in an almost marine fashion. You may see the finished example on Culreoch next year !